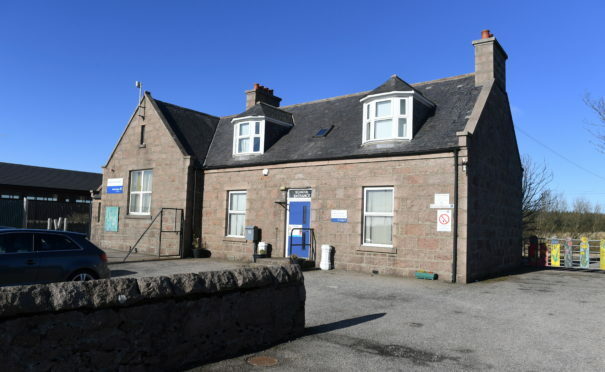 A north-east community is to be given a say on the future of a mothballed primary school. Longhaven Primary School was closed last Easter due and the doors have remained shut ever since. The school recruitment drive for a new head teacher to cover the vacancy repeatedly failed, and parents were forced to move their children elsewhere. Aberdeenshire Council bosses did encourage applications for Longhaven for the coming school year, but none were made. Yesterday, the education and children’s services committee agreed to mothball the school until after the summer holidays. But Rachael Goldring, the council’s learning estates team leader, told members of the committee they plan to speak to locals about the way forward. She said the authority would follow a similar approach as that taken at Strachan School, which closed for the summer holidays in 2017 and not reopened due to a shortage of pupils. Mrs Paterson said: “There haven’t been any applications for primary one. “Going forward we are looking to start some community engagement around the future of the school in October once we get into the new session. “We kind of see Longhaven as being a year behind Strachan school, which is already had an additional year of mothballing. “So we will be going through the same process as we have at Strachan. Councillors heard that officers were ready to resume the recruitment process for Longhaven school if there were applications for pupils to join.